Launch apps fast! A full application launcher inside of Spotlight! 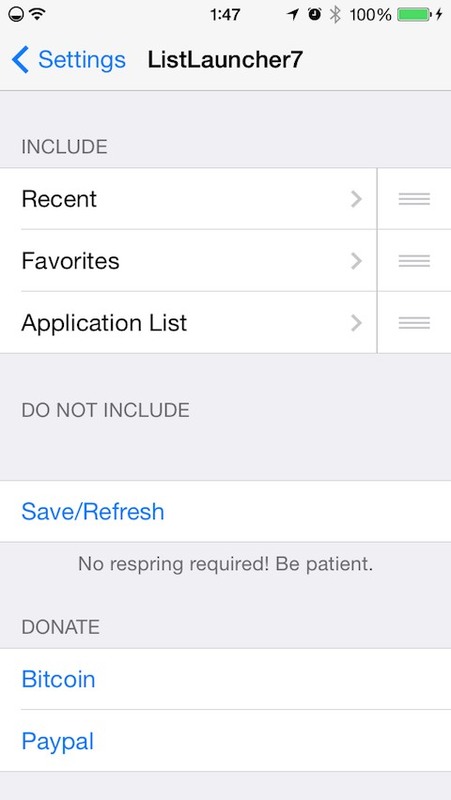 This tweak is compatible with iOS 7.x.x and uses the applist library by @rpetrich. There are three categories for ListLauncher7: 'Recent', 'Favorites', and the classic 'Application List'. Favorites: Put your favorite apps at the top for easy access! 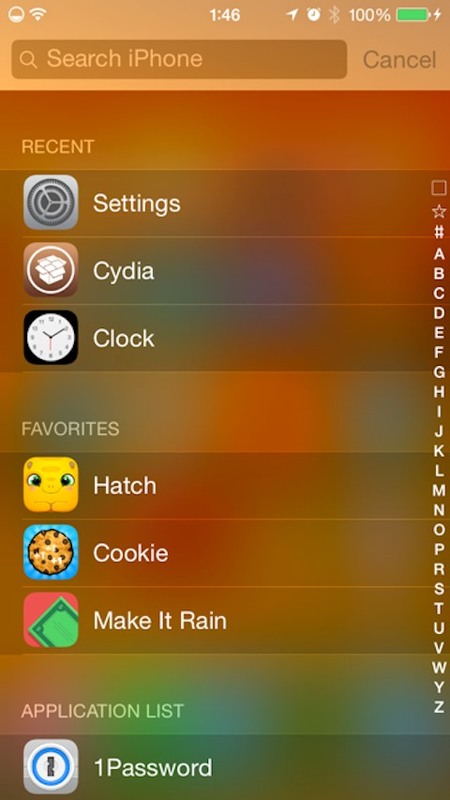 ListLauncher7 is compatible with Smart Search, SearchLoader, and other Spotlight tweaks. A full list of Spotlight tweaks are listed in ListLauncher7's settings. ListLauncher7 comes with easy-to-use settings thanks to preferenceloader by @DHowett. For developers, or people wanting to learn how to make tweaks, the code for ListLauncher7 is available on Github. Pull requests are welcomed.